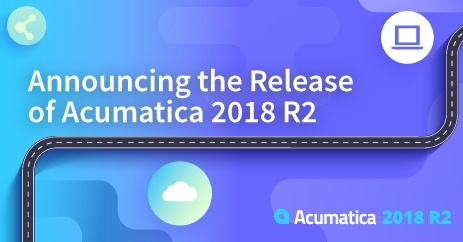 Acumatica 2018 R2, released on September 19th, includes significant enhancements to our Industry Solutions, Best in Class Modules and the Acumatica xRP Platform. These continuous improvements increase the value of each customer’s investment in their Acumatica solution. Here’s a high-level overview of selected enhancements. 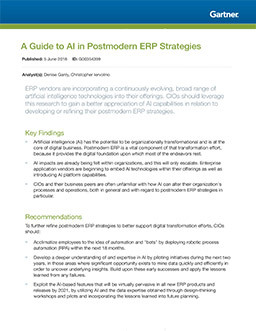 Mobile functionality has always been one of Acumatica’s top priorities. 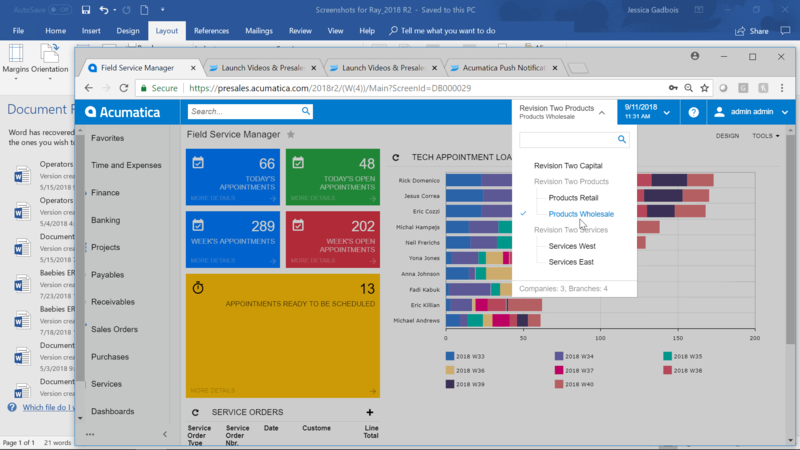 In 2018 R2, you’ll see usability improvements such as push notifications, navigation, and customization updates. In addition, our user interface now includes targeted pop-up notes, branch navigation, and improved date management. Reporting now displays pivot tables along with the Generic Inquiries. Also, you can add a side panel in the Generic Inquiry function that allows users to manage the details of specific records in an inquiry using the same screen. If you create and distribute regular reporting packages, the new release allows you to string reports together by creating multiple reports and merging them into a single package before sending them as an HTML or PDF file. We’ve included usability enhancements throughout 2018 R2. As you sign on to Acumatica, you’ll be greeted by a Welcome page that offers links to helpful resources. Pop up notes increase your productivity in working with documents, customers, vendors, and items. Improved navigation between companies and branches will increase usability and productivity for customers with multiple entities. To help navigate between legal entities and branches or warehouses. Review the related details of the inquiry on the record they selected. Financial Management is the heart of the Acumatica platform. We’ve made significant enhancements to close financial periods by company by providing different financial periods to manage books separately for each company in the same tenant. This means multi-entity companies can now close books independently of one another. We’re also providing a Tax Calculation Integration Plug-In to support a choice of sales tax calculation providers. And as promised, we’re offering more functionality to support ASC 606 compliance in deferred revenue recognition. For Project Accounting we’re releasing labor cost rates and project labor cost accounting integrated with payroll. Also, new project quotes (convert opportunity to project) simplify project sales and pricing by supporting complex quote processes. This usability enhancement supports a connected business in which people on the road can work collaboratively with project managers to create quotes and easily convert them to projects. CRM upgrades include Outlook integration enhancements that will link email activities with any contact in the system. The new Portal setup by branch allows users to display financial documents associated with all companies and branches, which enables organizations with multiple companies and branches to better control information that is visible to specific customers. This release also includes GDPR Compliance Tools to safeguard handling personal data. These tools let users protect personal data and restrict its processing. Acumatica for Mobile Push Notifications for Business Process Monitoring and go directly to the document to respond. 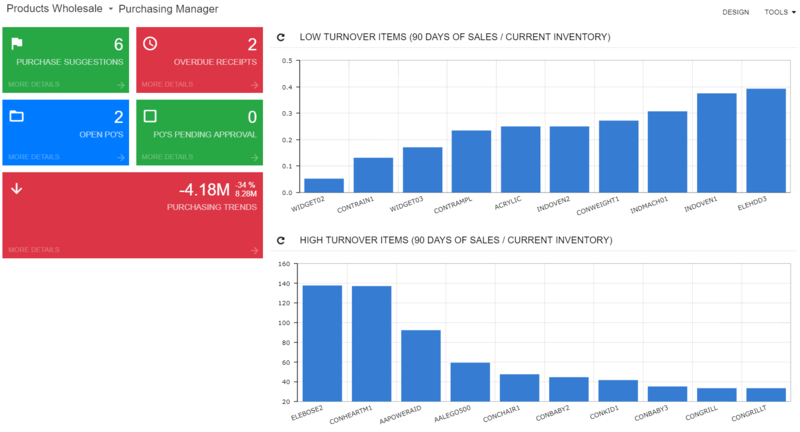 Visual representation on “Inventory Turns” to measure and alert performance. Distribution Edition offers several ease-of-use improvements. Improved discount functionality will save time in sales, order management, purchasing, and accounting. New landed cost document types capture and allocate landed costs while streamlining purchase receipt processing. They also provide landed cost allocation capabilities. The purchase return process enhances control over returns, including the necessary accounting transactions. Improvements to shipping functionality enable you to accurately match freight costs to shipments and reduce operating costs. Manufacturing Edition delivers enhancements in Advanced Planning and Scheduling (APS), equipping manufacturers to consistently and cost-effectively set accurate and reliable delivery dates. Engineering Change Control provides additional revision status controls in the BOM to help you simplify and control product changes, improve product design, and reduce costs. Production Management enhancements streamline production of a stock item and simplify production management. For project-centric manufacturers, the new Project Accounting integration improves project visibility while reducing operating costs over multiple production runs so that businesses can determine profitability for large jobs and contracts. Field Service Edition provides new functionality for creating a sales quote and a service order from an opportunity, along with the ability to easily copy notes and attachments into orders. Service orders can allocate items and display calculated tax amounts. To address the needs of repair and maintenance companies, we added inventory allocation controls and scheduling improvements that will help organizations ensure parts are ready when appointments are scheduled. Updates to pre-payment and tax calculation on orders make it possible for field workers to complete transactions while on the job. Improved cost tracking provides insights on service order profitability. 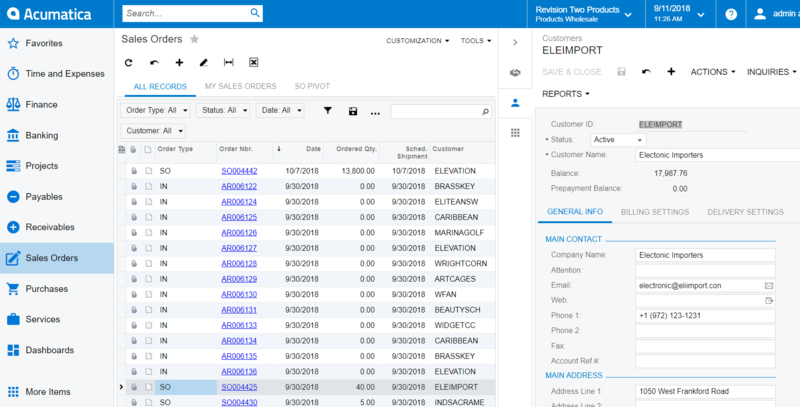 Commerce Edition improvements support omni-channel sales. We provided additional sales order processing workflows so that transactions originating from online systems with up-front payments can be processed and calculated differently from transactions entered by salespeople with payment terms. Construction Edition includes enhancements to the Procore integration for managing field operations through real-time access, as well as upgrades to construction project management. Requests for Information (RFIs) improvements include a lifecycle management capability for requests, notifications, tracking, automatic email linking, and conversions from RFIs to change requests. 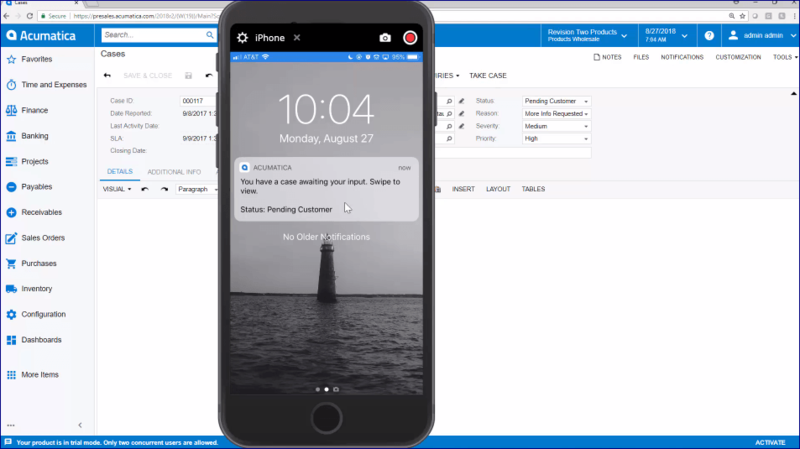 New project issue management equips all team members to document, communicate, and manage issues on phones, tablets, and computers. Compliance improvements include automatic processing—for example, when a check is issued, Acumatica links it to the Lien Waiver on the bill and pre-fills the amount. Usability enhancements include adding stored materials to pro forma invoices, as well as import and export scenarios to update cost to complete, percentage of completion, and cost of completion for Work in Process (WIP) reporting.